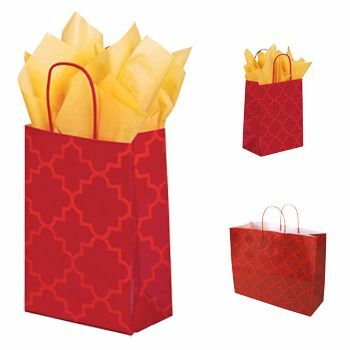 Shopping bags are silent advertisers. 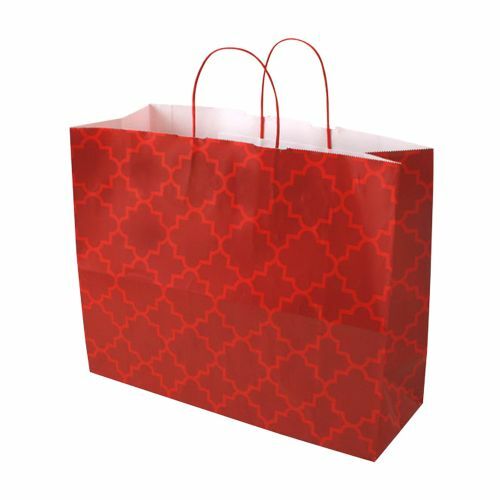 If you give your customers high quality shopping bags to hold the purchased goods in, it is highly likely that they would use the bag again when they go out for shopping the next time. Our Moroccan Tile Paper Shopping Bag is both aesthetically pleasing and durable. 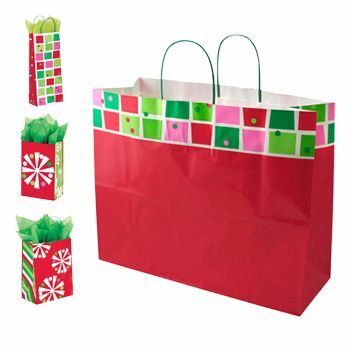 You can also customize it in different patterns and colors. 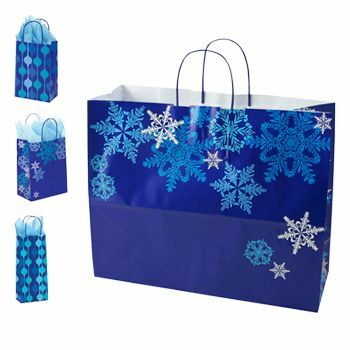 This will ensure that when the customer uses the bag, your brand will be advertised. 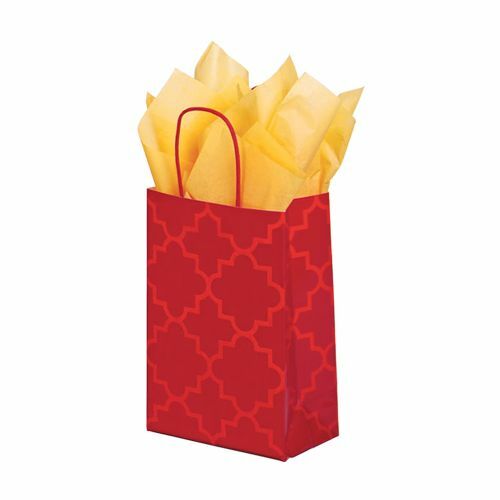 If you are looking for a creative alternative to conventional gift and shopping bags, Shamrock’s Moroccan tile paper shopping bags is a great option. 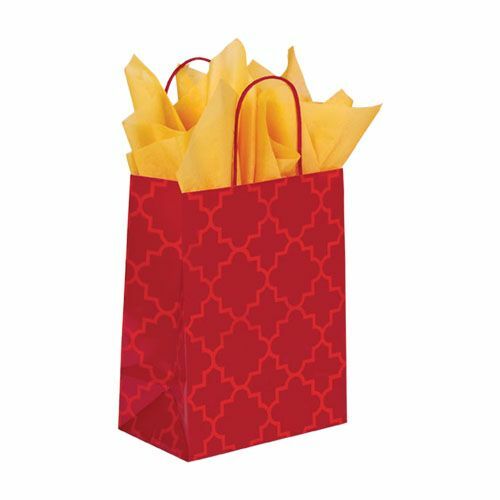 Made with high quality paper, these chimp shopper bags will give your product the right packaging it needs to stand out from the rest. 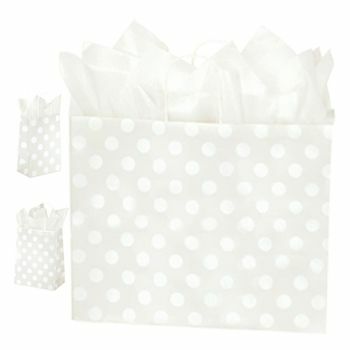 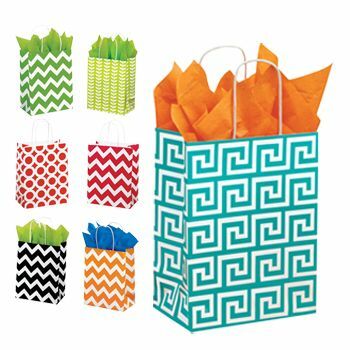 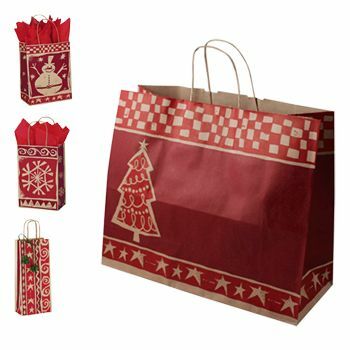 These creative gift bags come with accent design and easy to grab handles making their use convenient and elegant at the same time. The Moroccan Tile Paper Shopping Bag construction includes white interiors, red paper twists handles and serrated edges.